Currently, a transformation is occurring in higher education, precipitated by technology. As technology improvements occur, the ability to leverage that technology in educational environments increases the methods by which students access and interact with content and each other and by which faculty research and teach. There is a lag between the availability of technology and the adoption of technology, and a lifecycle for technology hype and adoption (Gartner). 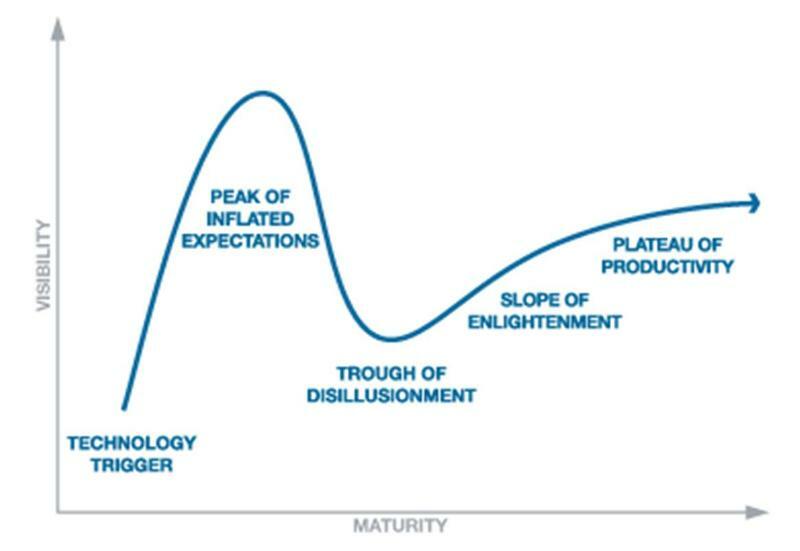 The following excerpt from the Gartner website explains how the Hype Cycles Work: (http://www.gartner.com/technology/research/methodologies/hype-cycle.jsp#). “How Do Hype Cycles Work? Remember that 2012 was The Year of the MOOC? And then everyone proclaimed MOOCs failures? That’s interesting, because I’m taking a course on Coursera right now, so that exists. And edX exists, and so does Udacity. And now we’re seeing all kinds of MOOC partnerships. So maybe that excitement at the demise of MOOCs was a bit premature. Many models evolve over time, and this may be the beginning of the disruption and evolution of MOOCs. Where do you think we are in the hype curve? There was a huge hype curve recently with MOOCs. There will undoubtedly be a new fan favorite this year. But just because something starts as hype, doesn’t mean it won’t end up being worth it. (In other words, just because you’re paranoid doesn’t mean they’re not out to get you). My personal belief is that eLearning is going through the Slope of Enlightenment. That’s the end of this module on Technology Adoption and Disruptive Innovation!